Wood was his life. His new life. Mornings Walt took the truck south beyond the border and scouted the desert for dead or dying trees. He was really in it for the mesquite. He’d been doing this long enough to know where the most likely pickings were. He levered branches and logs into the truck bed by hand. Used the winch to raise the heavier trunks. On the way back he’d prowl the small villages to see what people had for him. They’d wave him down from the side of the road, their faces brightening into grins when he proffered dollars for their salvaged barn boards or dilapidated privies or scavenged cacti ribs. He worried sometimes that he was sowing bad habits among them. He had one rule, which he tried to impress upon them, so much as his bad Spanish would allow: We must not ever take a live tree. Me entiendes? A good tree would come to them in time. When it was ready. No sense in pushing it. Over the border and back in the shop, he’d sort everything. Some branches were so small that they were only good for kindling and seasoning fires. He stacked the barn boards along the back wall, according to size. If they weren’t too big and not too full of nails, he might be able to clean them up in the planer. But he preferred them beat-up and scarred. Weekdays he hired Mexicans to help him march the logs through the mill and prop the slabs on spacers to dry in the sun. In time the good pieces would become tabletops or mantelpieces in homes he’d never visit, or else bartops in places too pricey to drink in—Taos, Santa Fe, Scottsdale. The better slabs became chair seats, the fine branches spindles, the weatherbeaten boards buffet tables and rustic pie safes. Nights he sat on the porch with his mezcal and his cigarettes and carved the scraps into crosses. He must have whittled ten thousand of them since coming to the desert. Ten thousand palm-sized crucifixes handsome enough to sell to tourists headed to the local shrine. It was smart to craft merchandise that could be had for pocket change, he told himself. Still, it surprised him how easily the crosses took shape in his hands. The wall of his shop was now so full of these objects that he’d started donating them to the church gift shop in the next village. Sus crucifijos, the padre had said once, son sinuosas. His eyes puckered, perhaps worried that Walt didn’t understand him. Tortuosas! The rest of the time, Walt kept his head down and lost himself to the buzz of the saw and the spray of sawdust and the smell of tree flesh bending to his will. He was working on a Windsor chair, tapping in the spindles, when the man from Chicago came in. The guy looked around, puzzled. So: this is what you do, now, huh? Don’t seem worth it. It was that tone—the mocking and the accent—that pegged the man instantly as someone from not-here. The man reached inside his jacket. Walt flung a spindle. It popped Sergey in the forehead. The gun dropped. Walt rushed him and drove him to the wall. Sergey fought, his face instantly slick with sweat. Walt kept him busy trying to breathe. Their throats sucked mesquite dust. Walt’s shop goggles fogged. His eyes peered under the droplets just enough to see. He snatched a crucifix off the wall and pounded Sergey’s neck with the end of it. Took him six tries to open the man’s jugular. Sergey slackened, sprayed, and slid to the floor. Walt locked up and lowered the blinds. Didn’t allow himself a drink until he’d run the body through the table saw and bagged the pieces. He’d mop up. Leave for the desert when it was still dark. He would use the time alone to think. Think about buying some paint. Think about how best to ditch Sergey’s vehicle. Think about sharpening the bottoms of some of those crosses. Joseph D’Agnese’s nonfiction appeared in Best American Science Writing (HarperCollins) two years in a row. 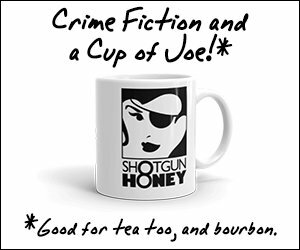 His crime fiction has appeared in Shotgun Honey, Plots With Guns, Beat to a Pulp, Alfred Hitchcock’s Mystery Magazine, and the annual anthology, Best American Mystery Stories 2015. 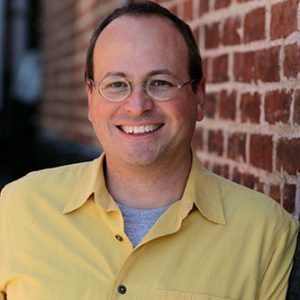 He won the 2015 Derringer Award for flash fiction for a piece (“How Lil’ Jimmie Beat the Big C") that first appeared here at Shotgun Honey. He’s the author of three popular history titles, a children’s picture book on the Fibonacci Sequence, and some novels. He lives in Asheville, North Carolina.